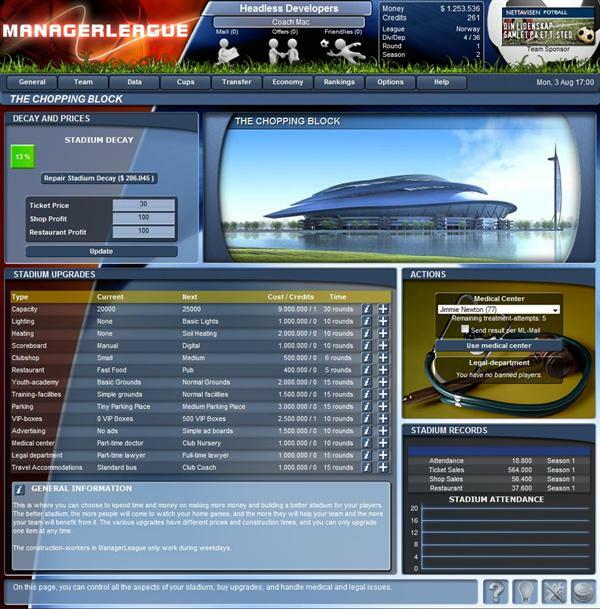 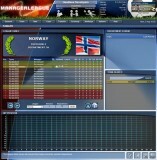 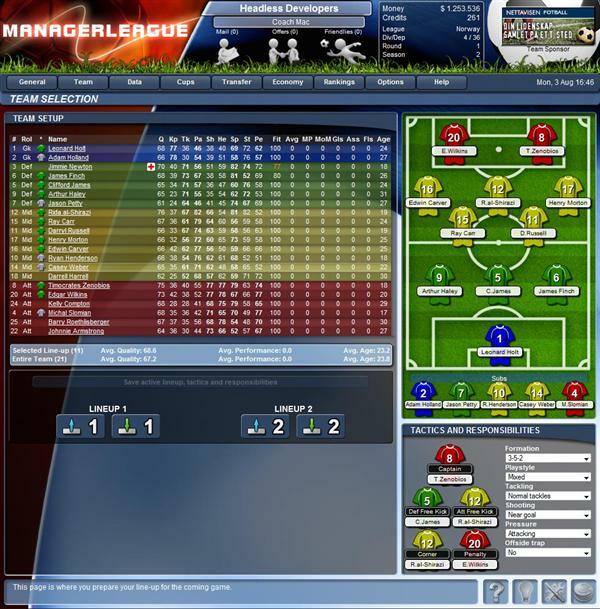 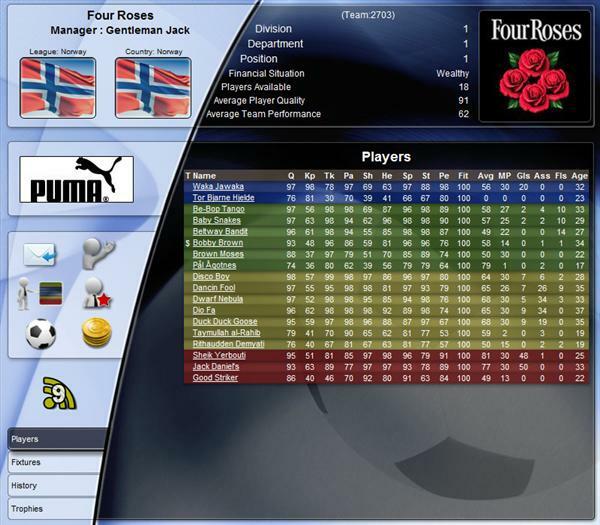 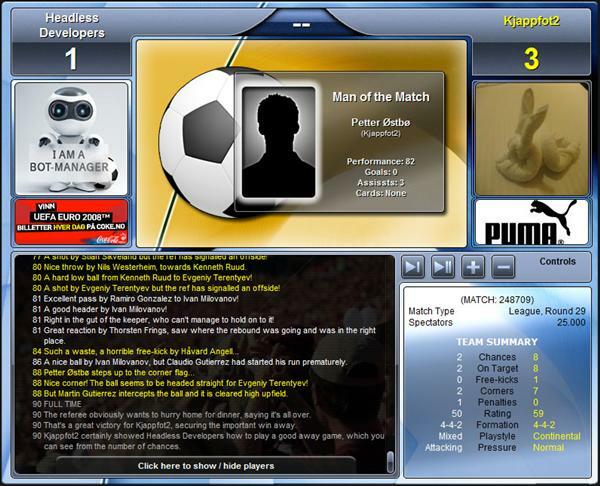 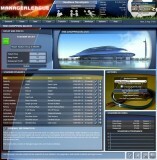 ManagerLeague is an online Multiplayer football manager game for thousands of players from the whole world. 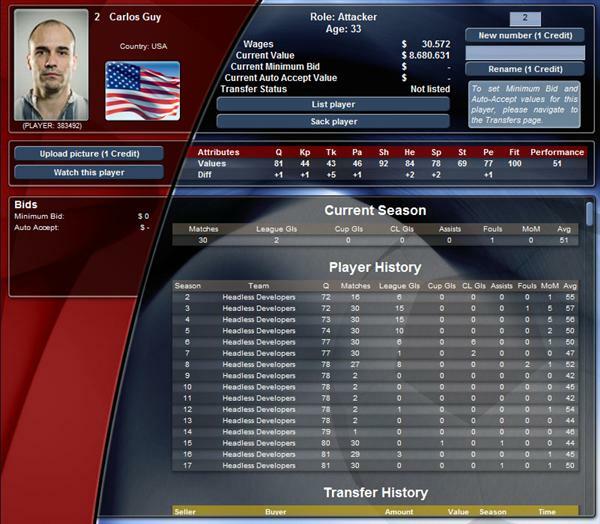 Once in, you take charge of your own team, buy and sell players, train your players to improve in the areas you wish to focus on, send them off on training-camps so that you can focus on upgrading your own stadium. 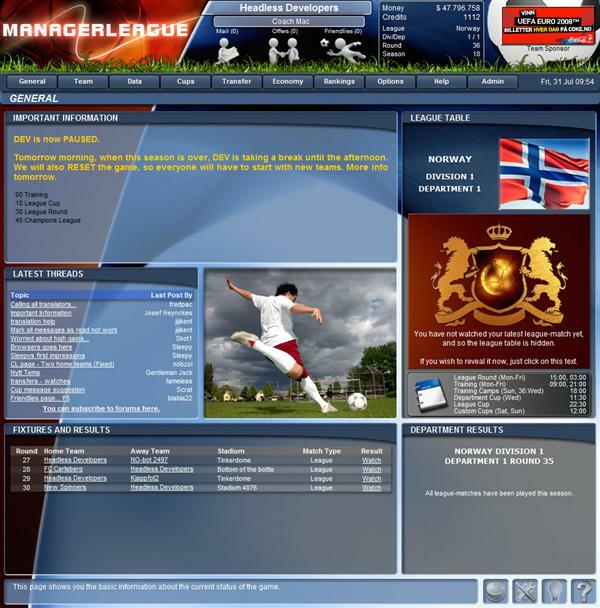 Managerleague has been running for over 4 years, and has tens of thousands of active players. 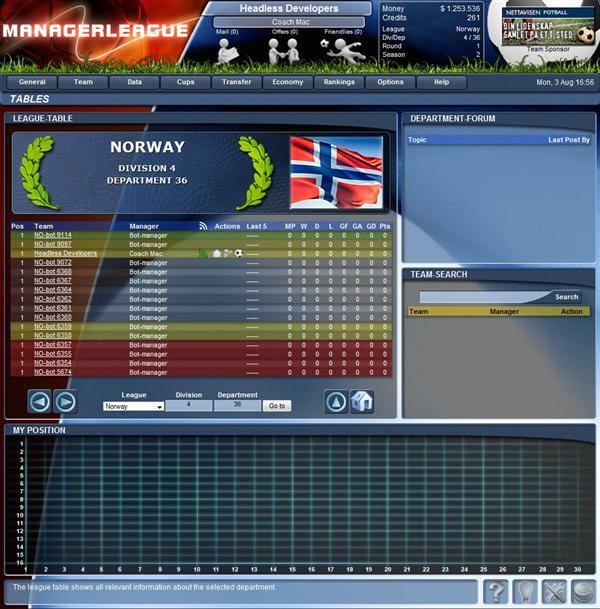 New seasons are starting every month. 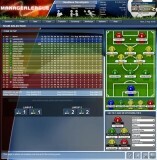 Related Tags: Online Football Manager.